Join us on February 21 for the Dale Bryce Collective concert! Tickets are free, however, you must secure a ticket for admission. For more information or to secure your tickets, visit the concert’s event page. We will be holding the 11th annual Literary Review Awards Luncheon on April 24, 2019. 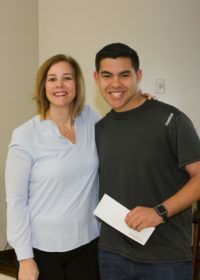 The WCC Foundation held its 21st annual scholarship awards ceremony on Thursday, November 8, 2018 in the Frank L. Eagles Community Business Center. Congratulations to all scholarship recipients, and many thanks to our donors and presenters! 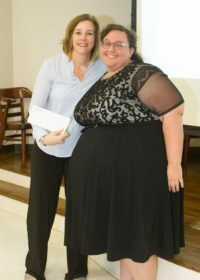 The WCC Foundation hosted the first ever Unsung Heroes Banquet on October 18, 2018. We are so thankful for our sponsors. Thank you to our first responders for all you do! 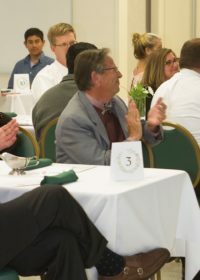 The Banquet was featured here in the Wilson Times. 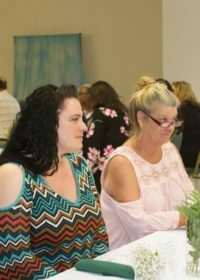 The Literary Review Awards Luncheon was held on Wednesday, April 18, 2018 in the Frank L. Eagles Community Business Center. The students, faculty, and staff who were published in this year’s edition of the Wilson Literary Review enjoyed lunch provided by the WCC culinary department. 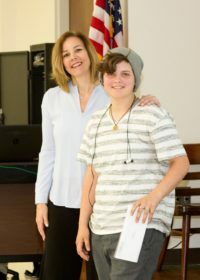 Winners were awarded their prizes by contest judge Ellery Adams, a New York Times best selling author. 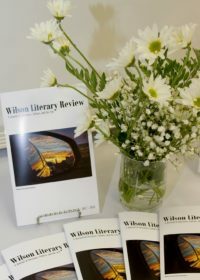 The Wilson Literary Review is an annual publication supported by the Wilson Community College Foundation and the Wade A. Gardner, Jr. and Lonnie M. Chase Endowment for the Humanities. If you would like to purchase a copy of the Wilson Literary Review, please contact the Foundation at 252-246-1271. The Wilson Community College Foundation held its 20th Annual Scholarship Luncheon on Thursday, November 9, 2017. 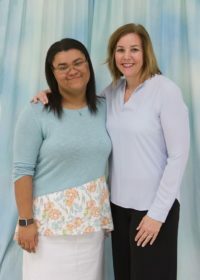 Speakers included Ms. Carrie Wilson-Morris, a Paralegal Technology student, and Mr. Ken Jones, the Chairman of the Wilson Community College Board of Trustees. Despite a rainy start, we had a great turn out at the Scholarship 5k Run on Saturday, October 7, 2018. Thank you to everyone who participated and to our sponsors. 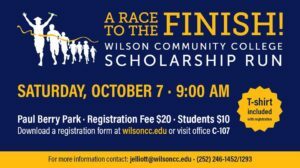 Your generosity will continue to help Wilson Community College students realize their goal of graduation. All proceeds benefit student scholarships.